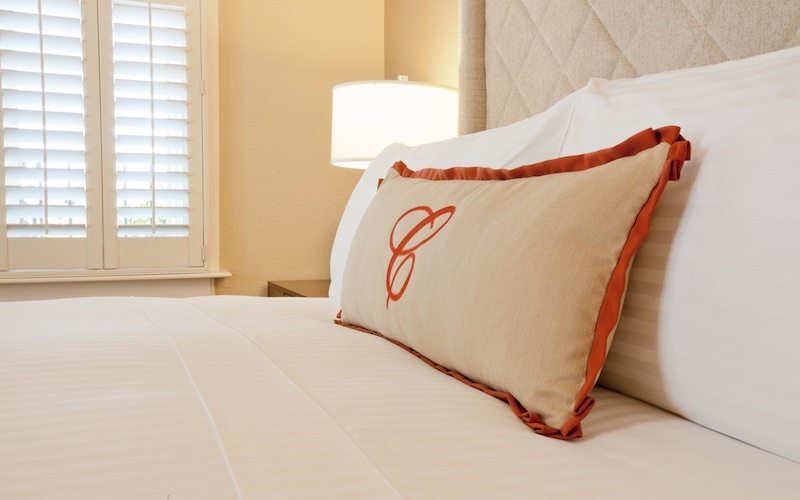 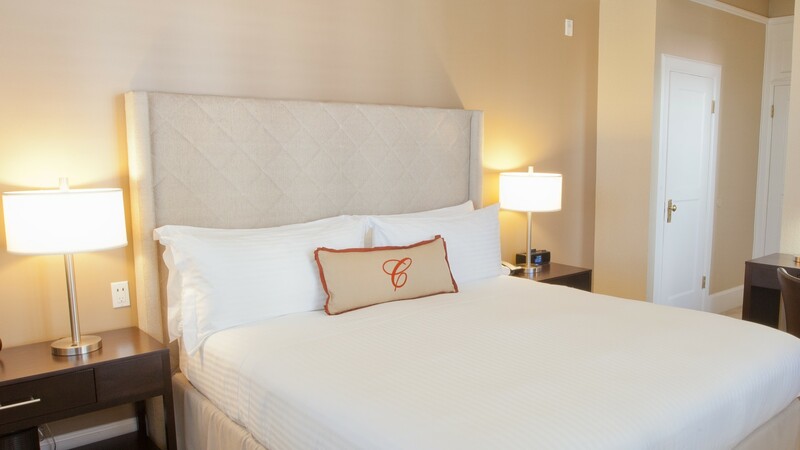 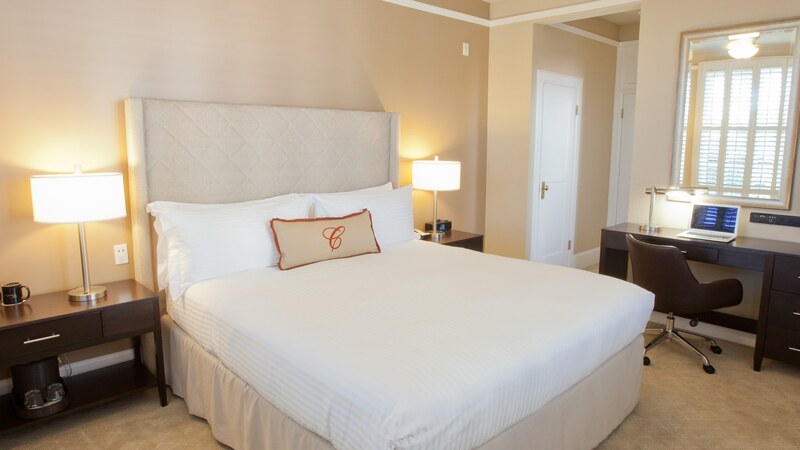 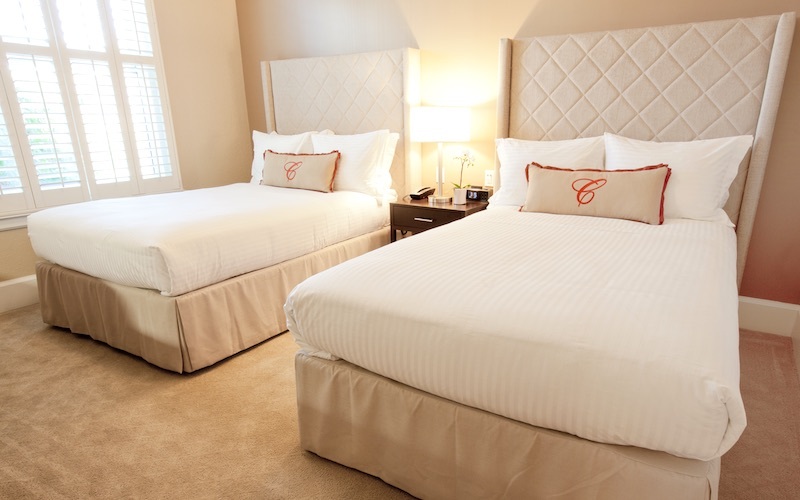 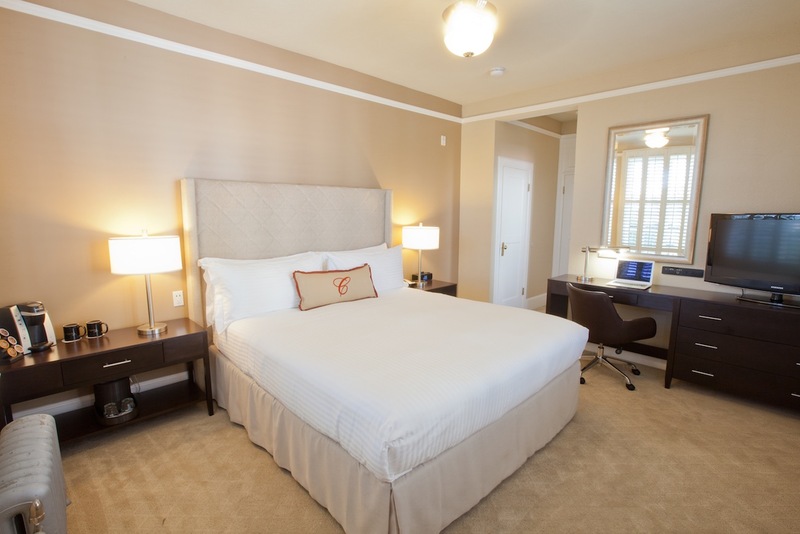 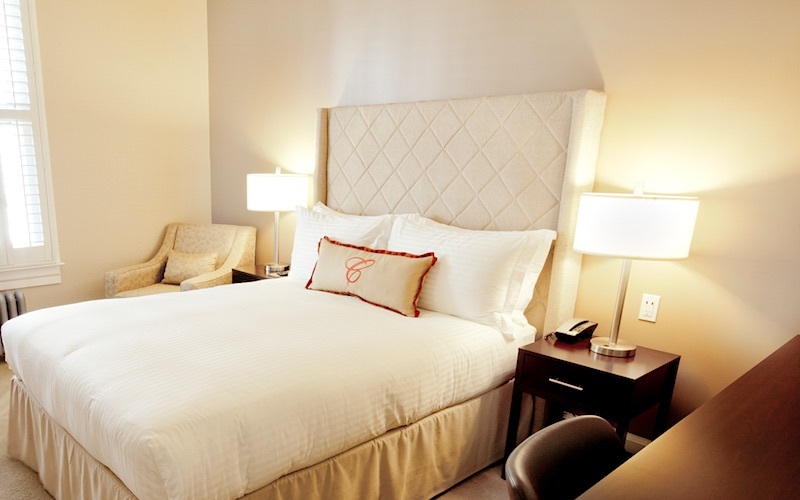 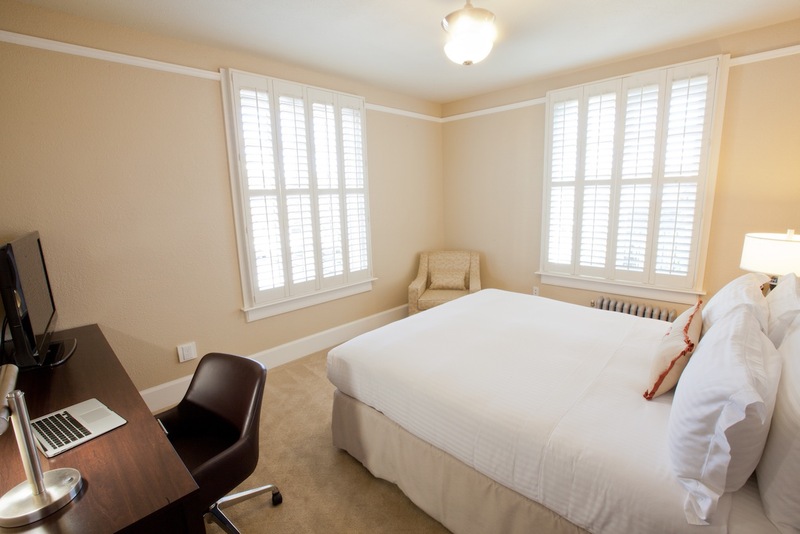 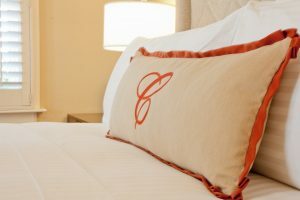 Perfect for couples seeking a romantic weekend getaway, the Deluxe Room awaits with one luxurious California King bed and private bathroom. 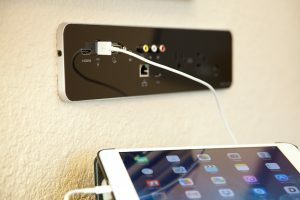 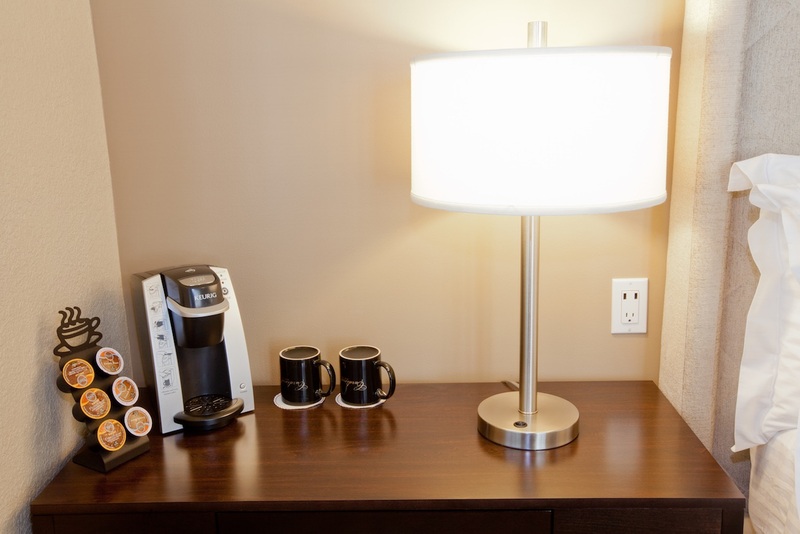 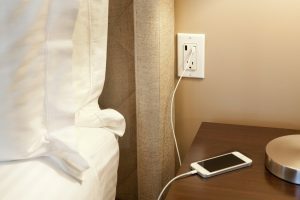 A myriad of creature comforts, including Keurig® coffee maker and Premium blended coffee, satellite television with premium channels, bedside USB ports, high-speed wireless Internet access, make for a cozy retreat for two. Includes the Cardinal Breakfast for most rate plans unless otherwise stated.